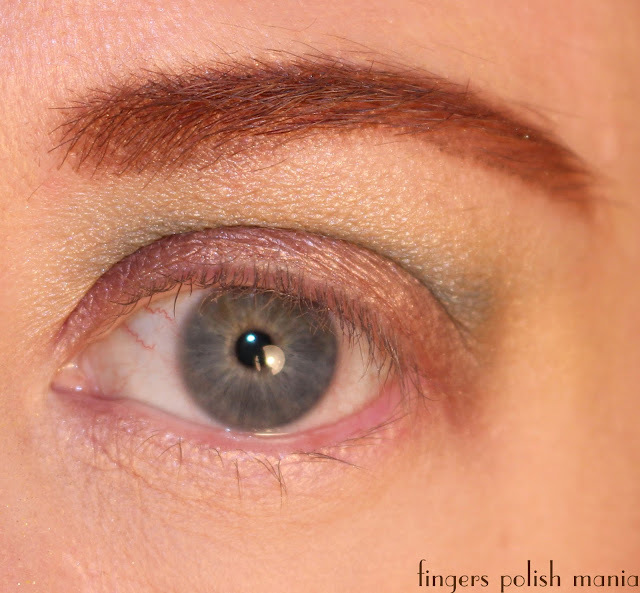 Today is the first eye look I've ever properly done with all the steps and a tutorial for you. It took me an hour and a half! Not something I'm going to ever wear to work and not something I'd even have the time to do before work! This look also includes my very first false eye lashes. I found them surprisingly easy to put on. I tested them out with my glasses and the lashes got stuck in the lens. As in when I opened and closed my eyes, you could feel the tug on the lashes. I did get shorter ones perhaps those will work with my glasses? Stupid me ordered them on Amazon and when I saw 6 as the quantity, I thought that meant 3 pair. Nope. I got 6 pair. I have enough lashes for a looooooong time. I'll do a tutorial on how to care for your falsies if you guys would like me to. Just let me know. Now I had mentioned there were bad things that have happened in a very short time period. The last one being my air conditioner switch broke on a Saturday night. Now I am a delicate flower and cannot possibly go a day without my AC. I called the emergency line and it costs $189 just for them to come to your house and say hi. Once here, dude told me the switch had broken and he would recommend I replace the entire water flush/switch system for only $350-on top of said $189 as he did say hi. I said oh hell no. I ain't got that kind of money. Do the cheapest fix you can. That being replacing the switch for $129. That was one expensive fifteen minute Saturday night date. Yeah. So far there have been no other bad things to speak of but the week is young. Now for my eye tutorial! Just like when I showed you my face, I'm not going to have my naked eye be the first picture. So here is the look we are going to create. This is without any filters or fancy photoshopping. Just me and my eyeball. First thing I did was prime my lid, do concealer under my eye and a bit of highlighting as I showed you from my face post. 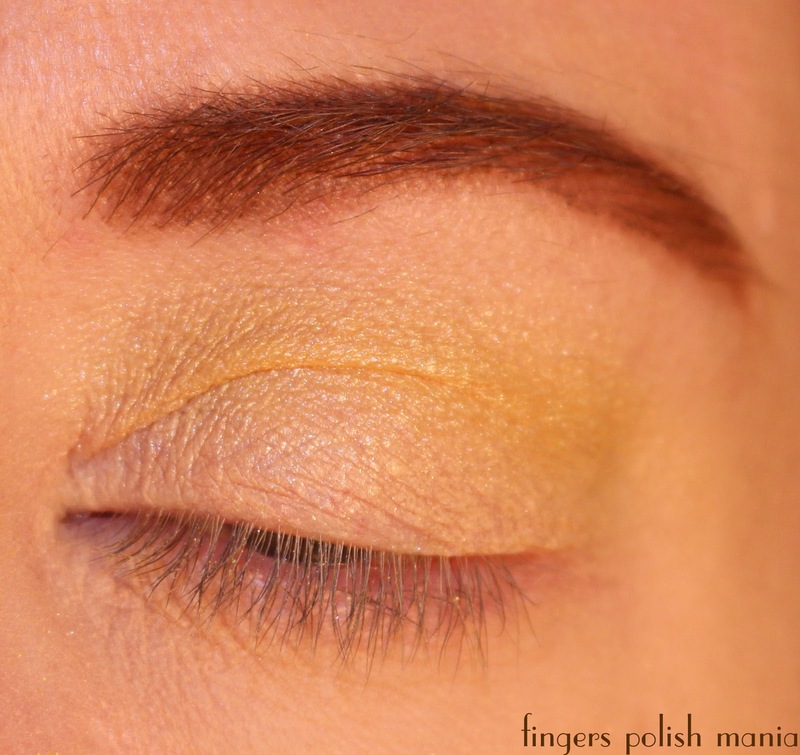 I had planned on this look being a sunset color thing, so I started with some yellow in my crease. I then changed my mind and decided to go brown and blue. 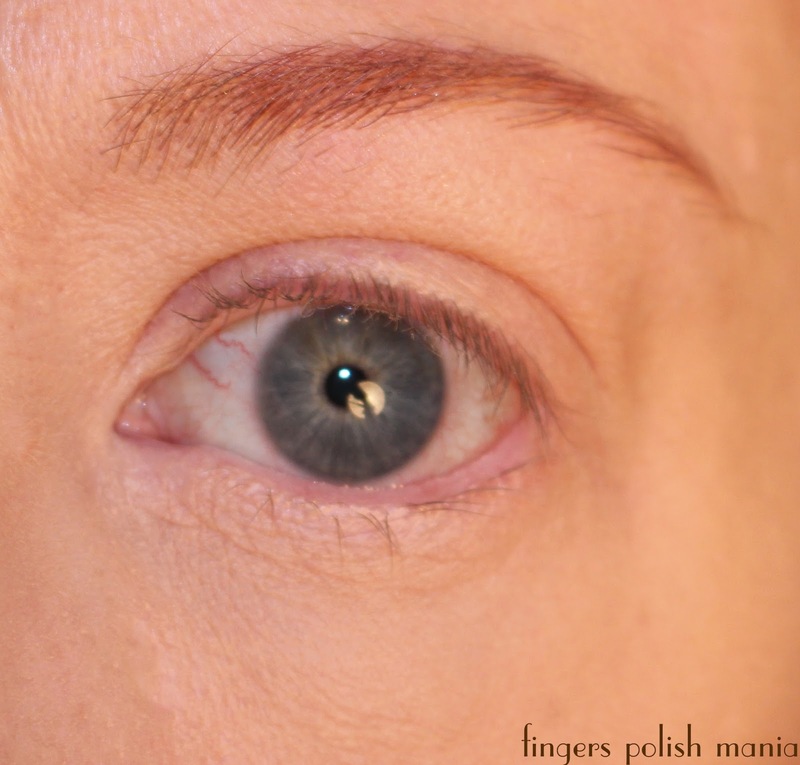 You can see I did fill in my brows with Anastasia Beverly Hills Dip Brow in Auburn. Man this stuff is amazing. I barely dipped my brush in the pot and did my whole brow with it. Now you can see I added brown to my lid and another brown over the yellow in my crease. I have now added a blue eye shadow in my crease. I wanted to point something out. This is with my eye open. You can't see the blue very much at all. What I did was with my eye open, I placed more blue on my brow bone so I could see it better. I have a heavy brow bone skin thing going on. Here I have darkened the blue crease and added a bit of black to the corner of the lid. I also smudged some of the brown I used on the lid under my eye. I added black liner to my top lid and blue liner to my waterline underneath. I attempted my first wing, but was a huge fail. With my eye open. This is my new thing-adding a color to my waterline. Have been doing that the past two weeks at work and I love it! Just that pop of color-although this one I wouldn't wear to work-meaning the eye shadow-I have worn all sorts of liner color to work. Next I added my false lashes and some TheBalm Mary Lou-Manizer highlight to my brow bone. And there you have it! It wouldn't have taken me as long as this did, but for the fact that I had to stop for each step and take a billion pictures. Want to see my jerry rigged set up???? HEHEHE. This is my green room (the walls are painted green) where I do my makeup. 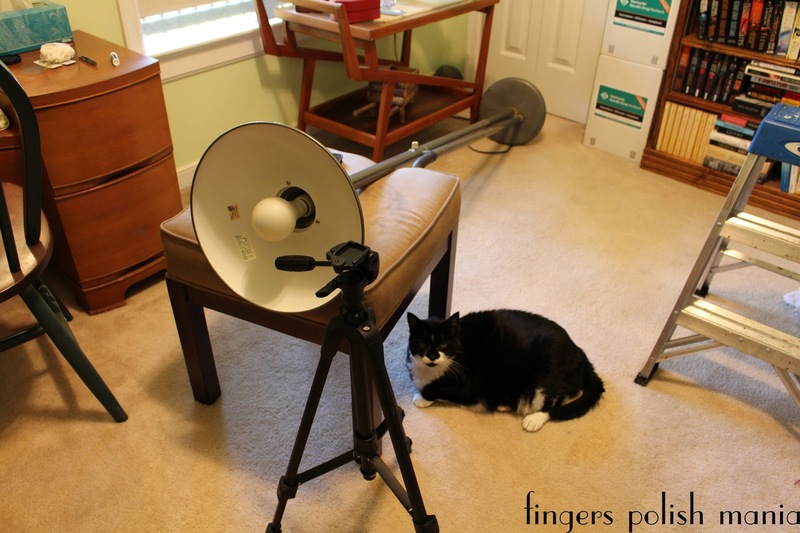 Stepladder for taking the cover off the light on the ceiling, stool where I usually sit becomes a prop for the corner lamp I usually use to put on my makeup-so the corner was dark for this post! The kitchen chair became my new stool-not comfortable at all for this and the tripod for my camera. I was going to take a picture of all the makeup brushes and makeup strewn about but I forgot! Oh and Checkers to keep me company. So yeah that's a 250 watt bulb right in my eye as I sat right in front of the tripod, used flash as well and it's still kind of dark. Most people use what's called the Diva ring which is about $200 on Amazon. Anyone want to sponsor me for the Diva ring????? Let me know! I hope you have enjoyed this. I had fun doing it. Next post will be a purple look. If you have any suggestions or things you want me to do for you, let me know. Once I master this, I hope to then do videos on YouTube!